USB keylogger hardware solutions - AirDrive Keylogger. The AirDrive Keylogger is an innovative ultra-small USB keylogger, only 0.8" (20 mm) in length. 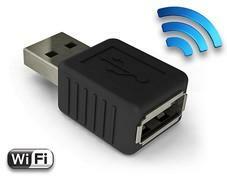 It can be accessed with any Wi-Fi device such as a computer, laptop, tablet, or smartphone.